Alpro has made its debut in the freezer aisle with a trio of dairy-free, plant-based ice-creams in Coconut, Vanilla and Hazelnut Chocolate flavours. 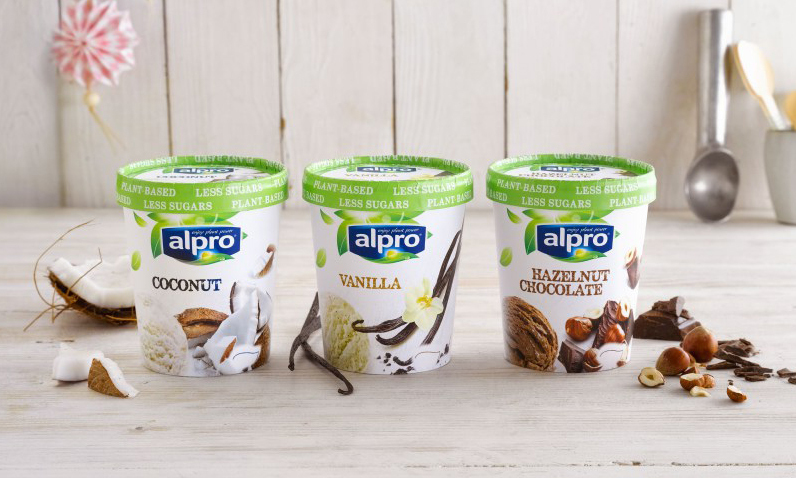 Vegans rejoice, as Alpro have launched a range of premium plant-based ice-creams exclusively in Tesco stores nationwide this week, with flavours including Vanilla, Hazelnut Chocolate and Coconut (rsp: £3.50/500ml tub). The brand has also said that they are planning to stock the new range of vegan ice-creams in a wider range of stores next year. Alpro’s decadent range is made with premium ingredients like bourbon vanilla extract, and contain 30% less sugar and 30% less saturated fats than similar dairy products, yet they still have a deliciously creamy texture without feeling too heavy. And there’s even more good news as the pots contain no more than 120 calories per 100g. That’s just 600 calories per tub, so dig in!